Dana, Max and Chris are back for this week’s Decks You Play. This time they’re covering Patreon Supporter Berturm’s Izoni, Thousand Eyed deck. Can they help take this aristocrat deck all the way to value town? The results are in! EDHREC ran a poll that received over 500,000 votes about the most salt-inducing cards in Commander, and renowned Star City Games writer Bennie Smith joins the cast to help interpret that data! Take a listen to find out the most-hated cards in EDH, plus some sage advice from Bennie about the best ways to avoid those salty games! EDH is full of popular staples, from Sol Ring to Cyclonic Rift, and in 99.99% of cases, players are correct to run those in every deck... but what about the 0.01%? On this episode, Joey, Matt, and Dana dive into a list of ever-popular cards and ask the tough questions, trying to find the exceptions that prove the rule. Are there decks that should ever NOT run Sol Ring? Or Cyclonic Rift? Let’s see if we can find out. You’ve seen Signature Spellbook - Jace, but now it’s time for Signature Spellbook - Dana, Joey, and Matt, and to discuss which cards best characterize their perspectives on the game, their methods of card evaluation, and their personal journeys through Magic. Which cards are the most personal, important, or unique to you? Join along and put together your own Signature Spellbook! Its time for the cohosts to put their money where their mouths are and compare their own personal decklists against EDHREC’s data! This week, the fellas dissect Dana’s Legendary Reki list, delve into Joey’s Necromantic Meren brew, and examine Matt’s Stomp-tastic Mirri deck! Which super popular cards didn’t make the cut, and why? Which cards do Dana, Joey, and Matt challenge against the data? Better yet, which cards do they challenge against each other??? Take a listen for some awesome deck techs and great advice on when and why decks should deviate from the data! This week, Joey, Dana, and Matt concoct a list of wants and wishes for the Commander format. Characters from Magic lore that don't yet have a legendary card, various cycles that aren't yet complete, exciting planes to return to, and more! You'll want to put on your Vorthos hats for this episode, and don't be shy about letting these intrepid podcasters know which characters or cards you'd like to see in an upcoming set! The cast is joined by former Star City Games writer Mark Nestico, known for his satirical articles and sharp wit, for a discussion on power levels in Commander. From powerful cards to powerful decks to powerful players, there’s a whole lot to tackle to keep game night fun and balanced. Building the deck is one thing, but improving it is a whole different ball game. On this week’s cast, the fellas each walk through their methods for fine-tuning a deck, especially in the wake of new set releases full of awesome new cards. How do you decide which cards deserve a chance, and which ones deserve to be cut? How often do you update your Commander decks? How can a single card choice affect whole swaths of cards in the rest of the deck? Tune in for a tune-up! WotC’s own Gavin Verhey joins the cast this week! 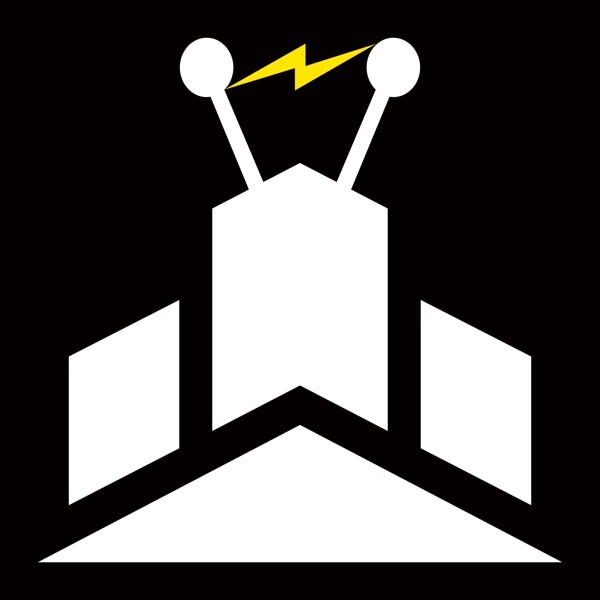 Take a listen as we discuss Gavin’s experience as a game designer, including his favorite sets, favorite cards, and of course, we analyze EDHREC’s data, including ways that WotC uses data to inform their designs! It’s a deckbuilding competition this week as Matt, Joey, and Dana each try to build the best Persistent Petitioners deck! Do you prefer Matt’s Esper Control, Joey’s Sultai Self-Mill, or Dana’s Grixis Spellslinging? Take a listen and vote for which brew you think petitioned most persistently! Renowned MTG finance expert Jason Alt joins the cast this week to discuss the 75% deckbuilding theory, including his Xantcha, Sleeper Agent deck. Join the crew as they examine the ins and outs of the 75% philosophy, as well as a clever red-black brew that Mindslavers its opponents into total oblivion. This week, Joey, Matt, and Dana discuss their individual approaches to politics in EDH, including their Top 5 favorite political cards in the format! Take a listen for some tips on "quid-pro-quo" deals, evaluating alliances, and managing your reputation within the game so your political campaign doesn't fall flat on its face. Best of all, it's time for a close look at those cards that look political, but aren't, and cards that don't look political, but are! This week your 3 favorite underlings (Joey, Matt, and Dana) sit down with the Big Boss creator of EDHREC, Donald Miner. Come listen to the origin story from it's humble beginnings all the way to becoming the behemoth of stats we all know and love, as well as tales of what is yet to come. The EDH hipster factor is off the scale on this one! This week your three internet crushes Joey, Matt and Dana talk some Ravnica Allegiance. What are the standouts? Is Smothering Tithe that good? Can Matt keep telling dad jokes? Tune in and find out! This week on the EDHRECast your friendly neighborhood podcasters take a long, lingering look at Teysa Karlov, three-time legend and all around Orzhov powerhouse. Matt wants to abuse her death triggers, Joey wants to make tokens, and Dana just wants to hang out with her, maybe get some coffee and talk about her cane. This week on the EDHRECast the prettiest people in podcasting get honest and ring in the new year by taking a hard look in the mirror and at the game they love. Truths are told, axes are ground, and realities addressed. Plus we have cake! This week on the EDHRECast your favorite EDH podcasters as well as Matt reflect on the year that was, and talk about the year to come, ranging from their plans for Commander going into 201 to what things do they want to challenge themselves with, as well as a challenge for each other. Give it a listen! This week on the EDHRECast "Eggplant" Joey Schultz, Matt "Yam" Morgan and Dana "the Zucchini" Roach have a chat about vegetable cards in EDH, the ones not that fun to run but that keep the body that is your deck healthy and hale. This week on the REC (don't call it that) Joey, Matt and Dana talk +1 counters in EDH and take a look at the theme on EDHREC and examine some of the most popular cards and commanders. Joey, Dana, and Matt sit down and have a chat with former EDHREC editor and all around ubiquitous EDH man-about-town Henry Stukenborg. They talk Henry's rules of EDH etiquette, challenge some stats, and just generally talk commander with one of the community's most active participants. Still sleepy from their Thromoksgiving dinner, Joey, Dana, and Matt shake off their food coma with a look at the pulse-quickening Ultimate Masters set and delve into some of the numbers behind the cards. Happy Thanksgiving! While Joey, Dana, and Matt all gorge on holiday food, we hope you enjoy a deck tech for a commander who's just as hungry as they are: Thromok, the Insatiable! Joey brings the main course for Thromok's strategy, Dana brings the veggies and other necessary essentials, and Matt supplies the dessert with a fun thematic twist! This week on the EDHRECast Joey, Matt and Dana dig into some of the stats behind the most popular most expensive cards on EDHREC. What are the priciest cards in the format? What decks run those cards? We take a deep dive like Scrooge McDuck into his vault. This week on the EDHRECast the boys take a look at a couple of user submitted decks led by Vaevictus the Dire and Varina the Lich Queen and try to see how EDHREC can work to make your deck better. This week on the EDHRECast Joey, Matt and Dana talk about their own article series on EDHREC and what those series may say about them as players and brewers. This week the EDHRECast shakes things up and lets Matt Morgan take control of the mic and run the show so Joey and Dana can oil up and wrestle it out in a debate about group hug. This week, Joey, Matt, and Dana put their heads together to discuss the most popular artifact cards, commanders, and strategies according to EDHREC! This week the cast talks with write Scot Sutton about top-down deckbuilding and finding creative ways to brew with a commander that maybe isn't so readily apparent at first glace. This week the prettiest people in podcast talk some old man magic as they take a look back at the commanders and cards most popular back when EDHREC first began compiling data. This week in honor of Guilds of Ravnica your friends Joey, Matt and Dana take a look at the numbers regarding cards from past Ravnica blocks that show up in EDH. What Ravnica commander shows up in the most decks? Which card not named Cyclonic Rift appears the most? Can Matt casually work Nickleback song lyrics into conversation more frequently than Dana can reference lines from Avril Lavigne? Listen and find out. The time has come for a Return to Return to Ravnica. This week, Joey, Matt, and Dana put their heads together to discuss new commanders and new cards that could shake the format, and of course talk about which new legend will become the most popular on EDHREC! This week, the EDHRECast crew talk about what they've dubbed the 'Reverse Precon Effect' where precon-only cards don't see as much play as they should either due to rarity or a stigma as being part of a watered-down precon. We've added our decks online! Check out https://articles.edhrec.com/edhrecast-our-decks/ to see Joey's Necromancy decks, Matt's powerful value trains, and Dana's underrated commanders that pack a serious punch. This week, Joey, Matt, and Dana pit their decks against the data on EDHREC, comparing their lists against the Top and Signature Cards for their commanders! Check out the decklists at https://articles.edhrec.com/edhrecast-our-decks/ and see how they compare to EDHREC! Sometimes the most popular cards aren't always the most powerful! This week, the gang is joined by Christian Alexander, author of the Playgroup Brews series, to discuss brewing decks with friends and tips and tricks for playing in different metas! Christian has a few other ideas up his sleeve too, so check out https://articles.edhrec.com/author/christian-alexander/ to see his articles! This week, Joey, Dana, and Matt put their heads together for a new brew with Lord Windgrace! With the assistance of EDHREC's new Precon Upgrade Feature (created by Nate Burgess of Commander Time) they analyze cards, tips, and strategies to make the Jund land-mander proud. This week the EDHRECast talks to DM Cross about uncommonders, those commanders printed outside the mythic and rare slot that can still be viable if not uncommonly (ahem) good atop a deck. People pithily pontificating the profound presence of planeswalkers pronounce playing powerful pieces promotes piles of panic. So this week on the Rec hosts Joey, Matt and Dana talk planeswalkers and the stats behind their place at the head of a deck in EDH. Who is the most popular leading an EDH army, why, and what do we think it means? Listen and find out! EDHRECast 018: Commander 2018 Review! The time has come! Commander 2018 preview season is complete, so this week, Joey, Matt, and Dana put their heads together to discuss new commanders, new cards that could shake the format, and of course, bet on which new legend will become the most popular on EDHREC! EDHRECast 017: Commander 2018 Preview and Precon Review! Commander 2018 spoilers are here, and we're happy to share our preview card! Thanks, WotC, for giving EDHREC its first preview content! Join us in a guessing game to find out which card we've got, then join us in a review of every year's Precon decks! From 2011 to 2017, what fun commanders and new mechanics did they introduce, how do they rank, and which are our favorites? Check out edhrec.com to see an image of our preview card, and enjoy the show! This week on the EDHRECast Joey, Matt the Talent and Dana the Beautiful are joined by Mason Brantley to talk about his series Underdog Corner and underdogs in EDH in general. Joey, Matt, and Dana are joined by Commander Time's Patrick Sippola to discuss c-c-c-c-c-combos! Tune in to find out some of our favorite combos, some of our least favorites, tips for playing with and against them, and best of all, surprise each other with combos the others have never heard of! And check out Commander Time, with former guests Dean Gootee and Nate Burgess! This week, Joey, Matt, and Dana put their heads together to brew a Najeela, the Blade-Blossom deck! We explain different tips and tricks we use on EDHREC to find new cards and make the final cuts when building a new Commander deck. Joey, Matt and Dana dive deep into Core 2019, and determine it to be not only the best Core set since Origins but maybe the best core set in a decade. Listen to find out why! Matt and Joey are joined by budget brew builder Andrew Cummings to talk about building strong and effective decks at a modest price. EDHRECast 011: Solving "The Boros Problem"
Joey, Matt, and Dana form a Battalion for the Boros Legion to discuss ways to make Red-White viable in Commander. What does Wizards need to do to "fix" Boros? More importantly, what do players need to do to fix Boros? This week Joey, Matt and Dana are joined by EDHREC writer and chaos aficionado Kya Vess to talk about throwing a little anarchy into your game. This week Joey, Matt and Dana talk Battlebond, the Two-Headed Giant set that has been called Commander Masters. This week Joey, Matt and Dana get together with EDHREC writer Dean Gootee to dig through time and take a look at some older cards that are still relevant today. EDHRECast 006: The Hottest Trends in EDH! This week Joey, Matt and Dana get together and take a look at statistical trends in EDH. Are curves getting lower and planeswalker counts higher over the years? We'll find out! Joey, Matt and Dana get together with EDHREC writer and Commander Time host Nate Burgess to take a look at the EDHREC stats regarding partner commanders. For episode 2 EDHREC writers Joey, Dana and Matt talk about the statistically most popular commanders on the website and try to piece together what makes them click with brewers. For the first episode of this show EDHREC writers Joey, Dana and Matt are joined by EDHREC content manager, Brainstorm Brewery host and all around MTG finance guru Jason Alt to talk about the pre-con effect and how it incluences the numbers on EDHREC.